CardioCell LLC called Townsend Team when it was preparing to emerge from stealth mode. Founded in San Diego, CardioCell focuses on adult stem cell treatments for cardiovascular indications like heart failure. Through The Big Brand Workshop, Townsend Team facilitated the development of CardioCell’s strategic positioning and the creation of their verbal and visual brand platform. Working together, we defined the unique position CardioCell would own in the marketplace and mapped it to key technology benefits, the core value proposition and competitor benchmarking. With the positioning and the verbal brand platform defined, we narrowed in on the right look and feel. A logo was selected, a graphic style guide was developed and business cards were printed. Using The Big Brand Workshop results as a guidepost, Townsend Team created a website to tell CardioCell’s story, from the company heritage, technology and leadership team to its clinical trials, news and events. The website employed a responsive design and was optimized for easy viewing on all mobile devices. The design lured visitors in, and the content—embedded with the most relevant keywords, SEO tags and visual elements—kept the target audience of cardiology experts, clinical-trial patients and investors intrigued. 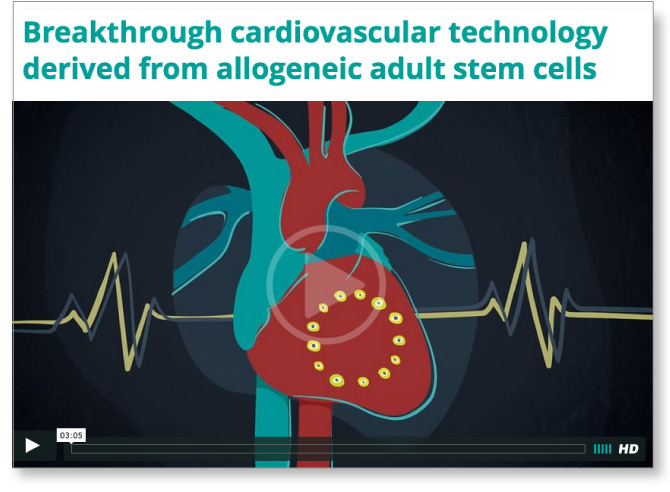 Front and center was an animated video that explained CardioCell’s complex technology in terms potential patients and investors could easily understand. With the pieces now in place, Townsend Team launched an aggressive publicity campaign to earn exposure and credibility. We strategically launched in connection with CardioCell’s first significant news—the FDA’s IND approval for CardioCell’s Phase IIa clinical trial using its stem cells to treat non-ischemic chronic heart failure. Over the next several months, Townsend Team continued a steady drumbeat of releases (eight press releases) and secured nearly 30 articles in publications like BioCentury, BioPharm Insight, Cardiology Today, Nature, Genetic Engineering & Biotechnology News, San Diego Daily Transcript and Union-Tribune San Diego. 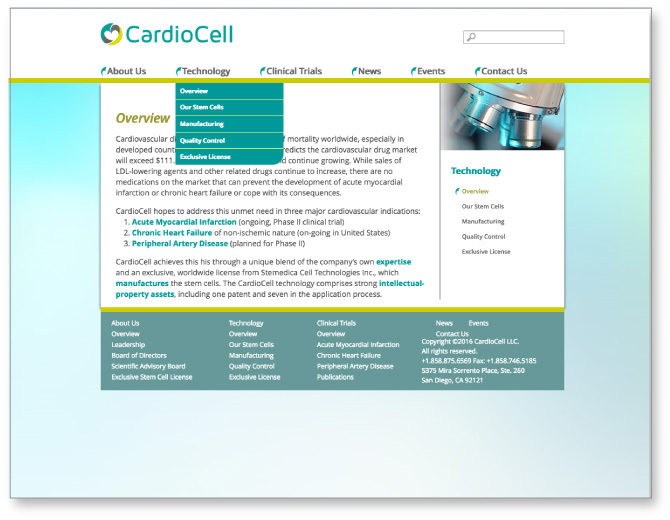 One key directive was to help recruit patients to CardioCell’s Phase IIa clinical trial. Townsend Team designed a public-transit system advertising campaign in Chicago and conducted an awareness outreach campaign to nearly 20 chapters of Mended Hearts, a national, community-based nonprofit organization that supports heart disease patients, their families and caregivers. Between this campaign and CardioCell’s efforts, the trial was successfully filled. 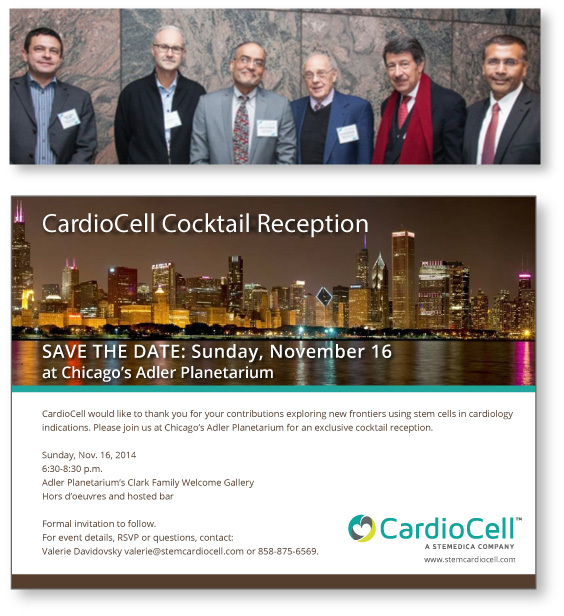 Finally, to thank clinical trials coordinators and designers — as well as CardioCell’s Scientific Advisory Board members — CardioCell hosted a fun, high-profile party during the American Heart Association’s annual Scientific Sessions event.